I am what many consider a “newbie” to California. Born and raised on the east coast, my family recently relocated to Southern California. Despite living here for almost 18 months, I still feel a bit like I am on vacation. That is why I hopped in my car and headed EAST on local freeways until I got on the fun Route 66 into the Inland Empire. There is so much to see throughout this hamlet of Southern California. Seriously, I was caught off -guard at the beauty, diversity and cultural richness of the “IE”. 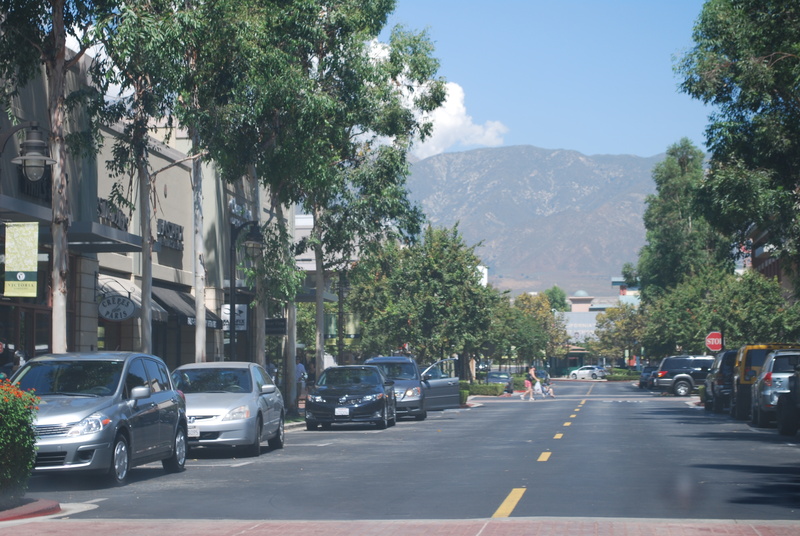 My first stop was Rancho Cucamonga, Once known as mainly a farming area, this “town” now tops over 100,000 people. Locals brag of well known spots such as The Christmas Inn, the Victoria Cultural Centerwhere you can hop a ride on their lovely carousel, and The Victoria Gardens outdoor shopping plaza. Spent more than my share of time there! Last, but certainly not least, the mountains! One cannot help but be in awe of the backdrop that the San Bernardino Mountain range creates all around Rancho Cucamonga and throughout the Inland Empire. 1- An impressive number of the top California higher education institutions are located here. Cal State Polytechnic, Cal State San Bernardino and Claremont University are just a few. 2- There are dozens of museums to entertain and culturally enhance any visitor. Next visit I will carve out more time to actually visit a few. 3. Medical care is par excellence here in this part of Southern California. With many well known hospitals and new medical facilities here to serve niche populations, such as those seeking fertility services. HRC Fertility in Rancho Cucamonga was one such office that recently opened their doors, with Dr. John Norian and Dr. Jeffrey Nelson as the center’s physicians. 4. The population of the Inland Empire is very diverse, including the deaf population in Riverside County thanks to theCalifornia School for the Deaf- Riverside campus. 5. Route 66 is more fun than one should be allowed to have while driving. 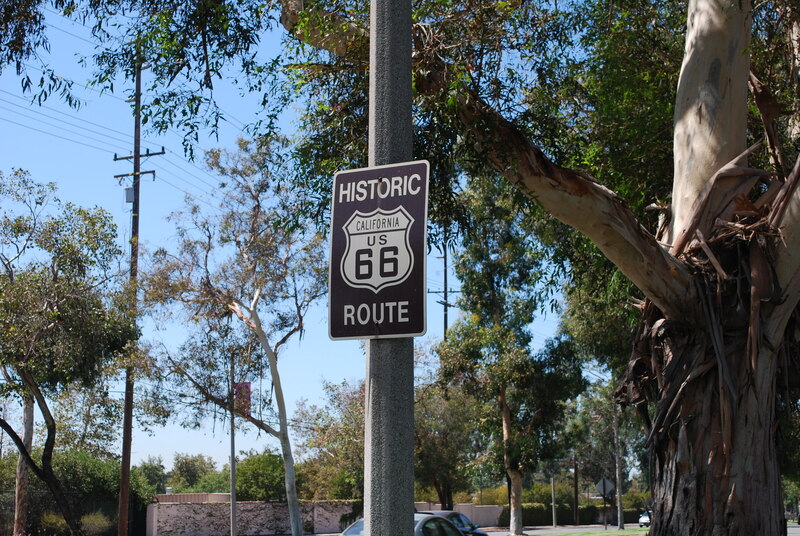 OK- confession… I snapped over a dozen photos of the RTE 66 signs along the way! The one here in this post was taken during a much needed STARBUCKS “nourishment” visit. 6. At one time, this area was known for agriculture with many working in the citrus, dairy and wine – making industries. Many fine wineries and farms continue to exist today. Wish I had more time and a designated driver – as I would have enjoyed a little wine tasting! Oh well, I did pick up some fabulous produce on my trek home. I have blogged before about vacationing in your own backyard. It doesn’t matter if your home is in the rural plains for Iowa or the crazy busy center of NYC. There is always something to explore. So, go ahead… grab your keys, bike or sneakers and enjoy!